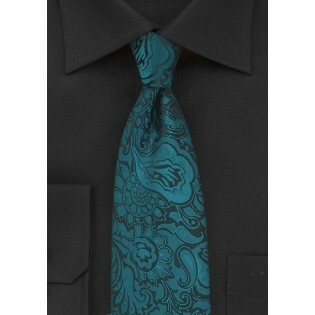 Showcase your fashion finesse with this Deep Teal Colored Paisley Tie from the designers at Puccini. Woven from premium microfiber on a jacquard loom, this piece is both wrinkle and stain resistant. 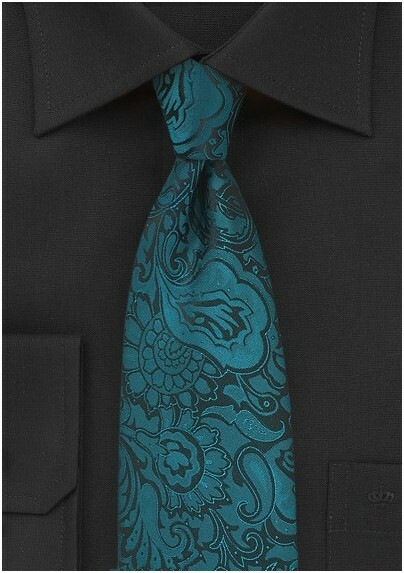 Its brilliant teal hue is woven on a black weft for a beautiful contrast that pairs great with dark shirts for formal events.